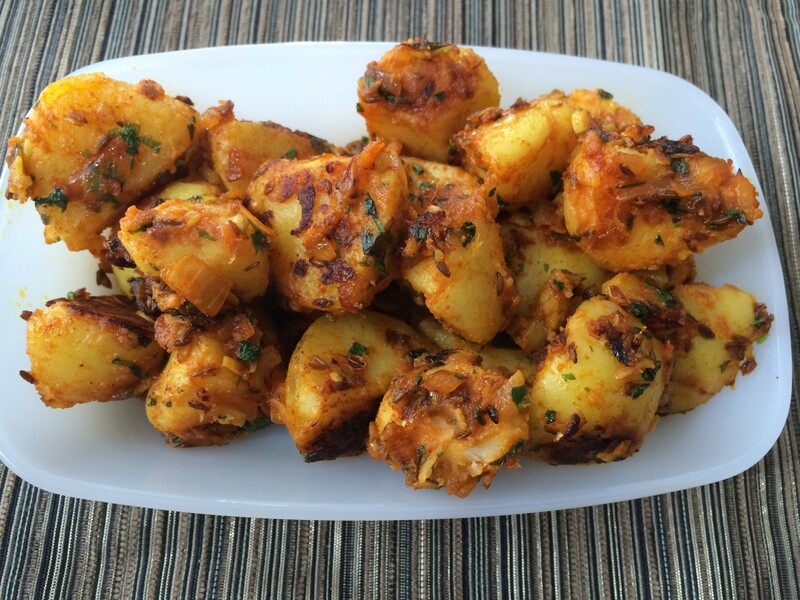 Cut boiled potatoes into cubes. Heat 2 tbsp oil/ghee and add cumin seeds. When they splutter add onion and garlic and saute till translucent. Add coriander seeds, chili powder and turmeric powder and stir. Add potatoes and coriander leaves and mix well. Check salt. Let it stay on medium heat for 2-3 mins more. Stir once in a while. 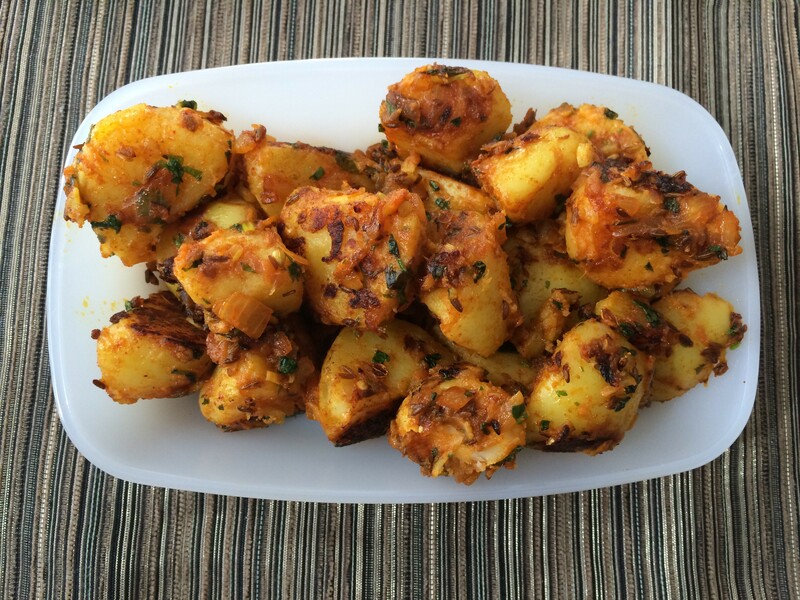 This entry was posted in Vegetarian Curry and tagged aloo jeera, jeera aloo, north indian aloo, potatoes with cumin by PriyaBaby. Bookmark the permalink.